I hate politics, but I loved this book. 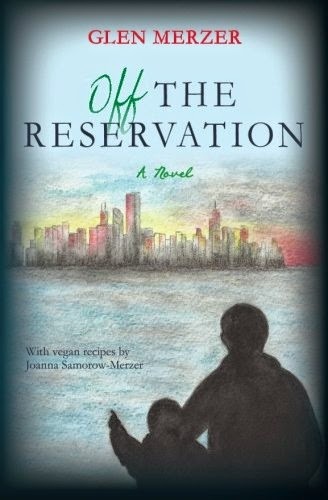 Off The Reservation is the fictional account of 16-year Congressman Evan Gorgoni as he reaches a breaking point in his own political career: continue fighting the traditionally backed, corporate-funded, do-nothing American political system, or give up hope and walk away from politics forever? Gorgoni chooses the latter, but then something miraculous happens. Gorgoni not only doesn’t walk away from politics, his career actually takes an unexpected turn for the better (or worse, depending on how you look at it). No one could’ve predicted what would happen next. So what took place and how did it all unfold? ‘I meant illegal drugs,’ the man said. I loved this! It doesn’t get any more realistic than this with the problems facing America. Interestingly, Gorgoni, and his entire family, have adopted a plant-based lifestyle and are the epitome of what optimal health looks like. His view on restoring the American healthcare crisis is similar to mine—fix the food! Gorgoni is cautious, but not so subtle in voicing this approach on the campaign trail. His political incorrectness and blunt, honest answers to his political pundits throughout the book make Off The Reservation a must-read! DR: What inspired you to write such a brilliant piece of fiction in Off The Reservation? GM: I remember thinking during the 2008 campaign, what would happen if there were a candidate who didn't make bold promises but was more honest about the limitations of what is achievable? What would happen to a candidate who occasionally said, "No, we can't"? DR: Do you think we’ll ever have a WFPB (whole foods, plant-based) President in our foreseeable future in the United States? GM: I think there's a good chance we'll have a WFPB First Husband soon. President, not as likely, unless he can talk her into better health. DR: I love how you incorporated healthy, flavorful, plant-based meals into the story, including their corresponding referenced recipes at the end of the book. Where did this idea come from? GM: Ah, here's the story. I show up at the age of 18 in Sarasota, Florida, to begin studying at New College of Florida. I call home after my first week at college and tell my parents not to worry about me, I've decided I'm a playwright. My father asks me if I've written any plays. I say, give me a break, I've only been here a week. But I was determined to become a playwright. In my second week at college, a conference on the future of the American theatre was being held literally right next door to my college, at the Asolo Theatre. How lucky was that? They have 3 luminaries there: the artistic directors of the Asolo Theatre, the Florida Studio Theatre, and the Golden Apple Dinner Theatre. They are asked, "How do you select your plays?" The guy from the Asolo says, "We have a subscriber audience and we seek a variety of plays that they will find pleasing." The guy from the Florida Studio Theatre says, "We're not trying to please our audience, we're trying to challenge the audience and re-invent the very essence of the theatre." Then the guy from the Golden Apple Dinner Theatre thinks long and hard. "I don't really pay much attention," he says. "We've got roast beef." Now, I don't approve of not paying attention, and I certainly don't approve of roast beef, but there was something about the humility and lack of pretension in his answer that appealed to me. He wanted to give his customers good value for the dollar. So I hope everyone who reads my novel enjoys the story. But just in case there's a reader who doesn't, at least the barley miso soup might compensate. My wife is a fantastic chef. 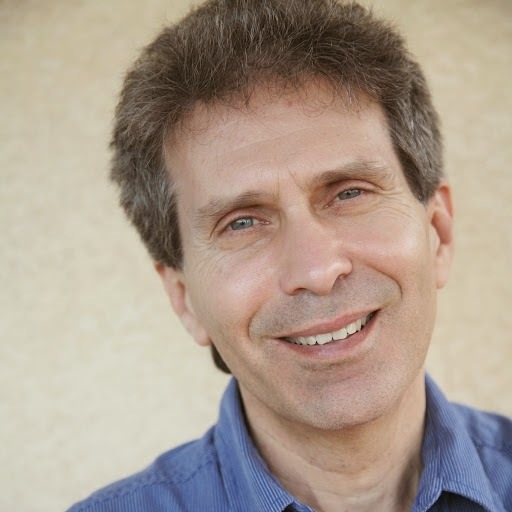 DR: There is a movement taking hold in this country of health-seeking individuals adopting plant-based diets as part of their overall lifestyle. What do you think is the next step to bring this grassroots crusade to the mass public? GM: We all have to keep spreading the word any way we can. But nothing would help as much as ending subsidies to animal agriculture. For your chance to win a free copy of Glen’s new book enter below. You can also purchase Off The Reservation on Amazon. Bernie Sanders for President! Why does this make a difference in our medical situation? No only does he comes the closest to your book's hero without being an A$$hat, there are no punches pulled, and he is Independent. Strong enough to stand up to big business, not in the pockets of either major party.